Video can be an incredibly powerful tool in creating demand for your products. So over the past year, we’ve focused on creating tools on YouTube to help you connect the dots between inspiration and purchase. 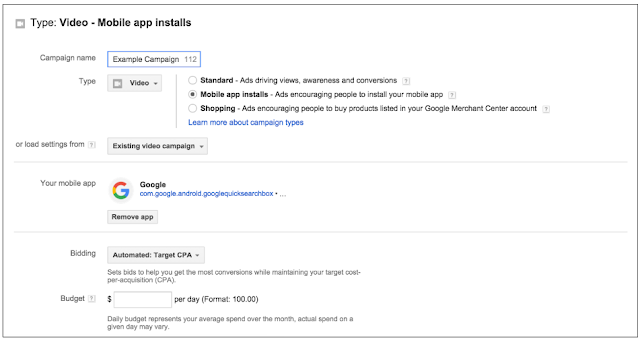 Today, we’re making these tools readily available to advertisers through AdWords. Here is a rundown of the features we’re launching. Setting up a video campaign should be as simple as telling us what action you want consumers to take – and today we’re announcing a way to do that right at the start of the campaign creation process. Whether your end goal is to drive sales, app downloads or to generally build your brand, you can now declare these goals right up front. Further, we’ll tailor the rest of your campaign set-up and optimization for your chosen marketing objective. The holiday season is incredibly important for app promotion, as consumers outfit their new devices with apps. To start an app promotion campaign with video, select the new “app promotion” option to access settings specifically tailored for promoting apps. You can now use target cost-per-acquisition (CPA) bidding, which lets you define the amount you're willing to pay for a conversion, and then automatically sets your bids to give you as many conversions as possible at that price. And today, two powerful performance-oriented formats are available to all advertisers – both TrueView for Shopping and Shopping ads on YouTube are now available in AdWords. TrueView for Shopping campaigns create interactive video ads that highlight the value of your products and drive consideration. 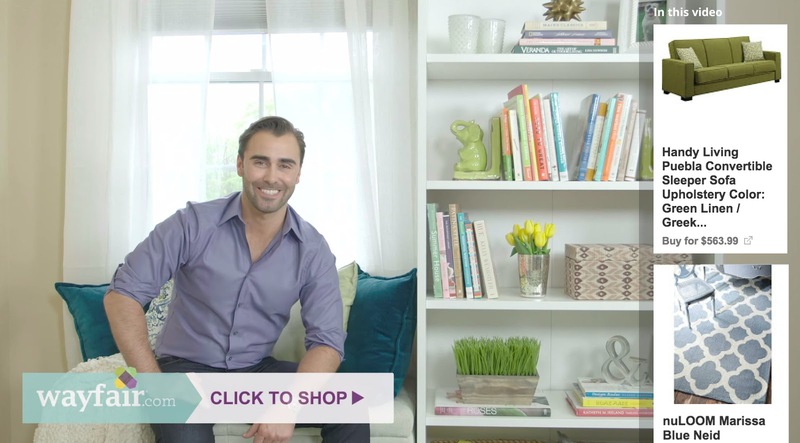 These TrueView video ads have actionable shopping cards embedded in them which provide an easy bridge to purchase for viewers. They are also a powerful audience solution, enabling you to remarket to viewers who may have visited your site or viewed your other videos. Shopping ads on YouTube work even lower in the funnel, by enabling shopping cards on creator videos that feature your products. This is a great way to capture demand when viewers are most interested in exploring and researching products. These also allow you to extend the reach of your Shopping campaigns beyond www.google.com. 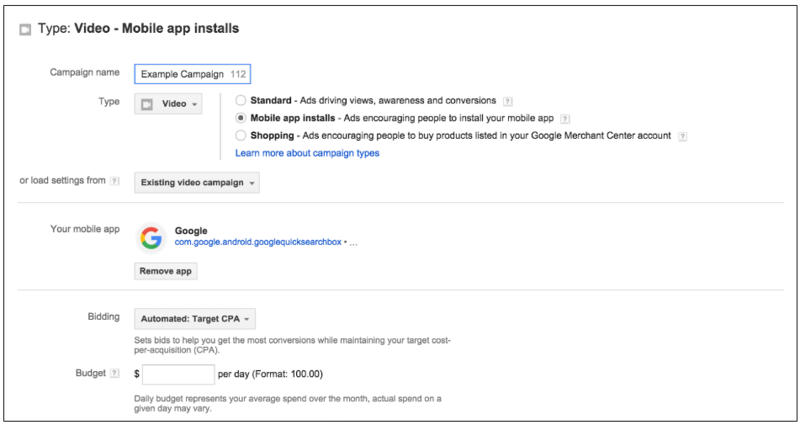 To extend your Shopping ads to YouTube, make sure your Shopping campaigns in AdWords are opted into search partners. These new TrueView features are made possible thanks to our recent migration of TrueView video ads into the core AdWords front end, and represents only the first first step towards a simpler, goal-oriented video ad experience. Now get out there and drive some sales and app downloads with video!